If it’s party time and you don’t know what to do for drinks then check out this delicious zombie blood drink from HarcosLabs. Drink some blood and party on. Don’t want any boring food? Check out this awesome zombie jerky from HarcosLabs. A great way to liven up your next party. Who needs a normal mug when you can use this awesome zombie apocalypse mug from CafePress. Have some zombie fun with you coffee in the morning. 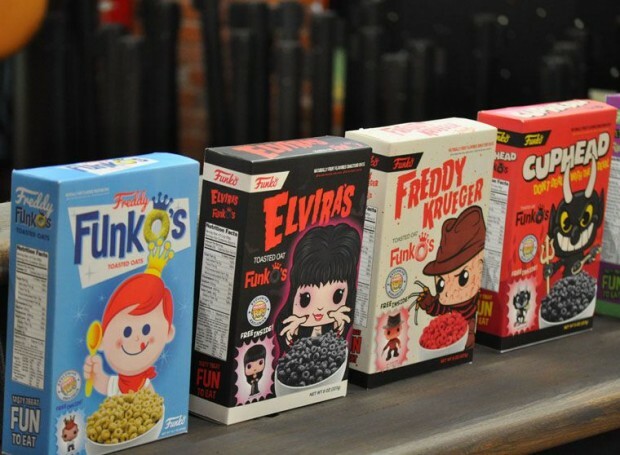 Never eat cereal the same way again by using this awesome zombie cereal bowl from ThinkGeek. Another great holiday gift idea for any zombie lover. This seemingly black ceramic coffee mug by Coolinko reveals a creepy zombie scene when hot liquid is added.